Wollongong Coal has informed the Resources Regulator that they have ceased production activity at Wongawilli Mine, and are placing the operation into care and maintenance. On Wednesday 10 April, we hosted a workshop in Dubbo with industry and other regulators that focused on leading practice methodologies and current research regarding tailings storage facility management. The NSW Resources Regulator has begun a causal investigation into an incident last month in which 70 workers were evacuated from an underground coal mine in Helensburgh, south of Sydney after carbon dioxide and methane levels increased unexpectedly to hazardous levels. The NSW Resources Regulator has begun prosecution proceedings in the District Court against Peak Gold Mines Pty Ltd over a work-place death at a mine near Cobar in April 2017. The secrets hidden deep underground around Cobar and Lake Cargelligo will be revealed as part of a national geoscientific program that will commence in the coming months. 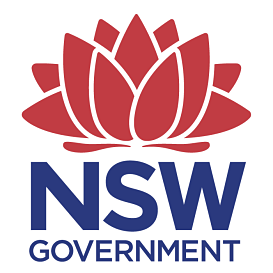 The Geological Survey of NSW will be holding free drop-in sessions to explain a new national geoscientific research collaboration called MinEx CRC. The NSW Resources Regulator will lead a causal investigation into an incident at Metropolitan Coal Mine, where workers were withdrawn from underground after carbon dioxide and methane levels increased unexpectedly and at a significant rate. The Resources Regulator is responding to an incident at Metropolitan Colliery in the Illawarra Region. Following ongoing issues at Wongawilli Mine, near Appin, the NSW Resources Regulator’s Chief Inspector of Mines has issued a stop work order to the mine operator in accordance with section 51 of the Work Health and Safety (Mines and Petroleum sites) Act.